Don’t worry, Android users: an Android app will be launched in the coming weeks. BANK OF IRELAND is to launch its first iPhone app later tonight, following in the footsteps of AIB and Ulster Bank. The app will be available from the app store from midnight for Apple users. An Android app will be available in the coming weeks and a Blackberry-friendly touch browser will following in the coming months, the company said. Customers will be able to view balances, pay bills, transfer money, and find ATMS and branches through the app. Currently almost 1 in 5 people visiting the Bank of Ireland website do so from mobile devices. Around 500,000 personal customers are currently registered for online banking with BoI. Gavin Kelly of Bank of Ireland said the app would offer banking services to customers through the technology they use every day. Kelly added that the app is the first phase of a new mobile banking proposition for Bank of Ireland which will deliver a range of initiatives over the next 12 months, including the Android app. There are currently 740,000 smartphone users in Ireland, 63 per cent of whom are under 35 years of age. 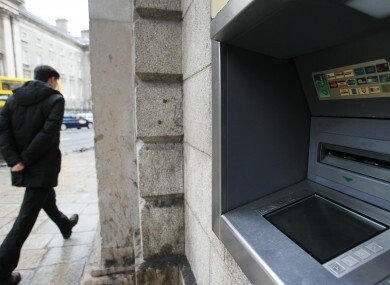 Around one third of active current account holders regularly use online banking and 17 per cent use telephone banking, according to a recent European study. Email “Bank of Ireland to launch iPhone app tonight”. Feedback on “Bank of Ireland to launch iPhone app tonight”.